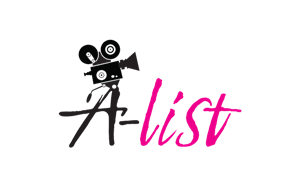 Aspiring filmmakers in Malaysia will have the opportunity to participate in #Alist5 Workshop and gain first-hand, invaluable insights by renowned directors and experts, Ho Yuhang (Malaysia), Dain Said (Malaysia) and Edward Delos Santos Cabagnot (Philippines). In conjunction with its 5th Anniversary, Astro A-List (CH 456), home to critically acclaimed and award-winning films, is organizing a filmmaking workshop for all Malaysians and a video contest for university students. Session 1 (10am – 1pm), titled ‘How to be a filmmaker?’, will be conducted by prolific Malaysian film directors Ho Yuhang and Dain Said. Ho Yuhang is best known for his work in Mrs. K (2016), which was nominated for Best Film at the 2017 Five Flavours Film Festival and Best Action Choreography at the 2016 Golden Horse Film Festival, while Dain Said is known for his work in Interchange (2016), a fantasy-thriller movie, which won Best Visual Effect at the 2018 Asia-Pacific Film Festival, Best Art Direction and Best Director at the 2017 Malaysian Film Festival; and was nominated for Best Film at the 2016 Five Flavours Film Festival and Locarno International Film Festival. Session 2 (2pm – 6pm), titled ‘Critical film studies’, will explore the numerous methods of film-appreciation, and will be conducted by Edward Delos Santos Cabagnot, a film expert from De La Salle University, Philippines, who has been on the jury for a host of international film festivals, including the 2013 Amsterdam’s IDFA International Documentary Festival, 2011 Berlinale’s Forum and 2008 Busan International Film Festival. Those who are interested are encouraged to pre-register for the #AList5 Workshop by 6pm, 29th September 2018 via: http://bit.ly/Alist5Workshop. 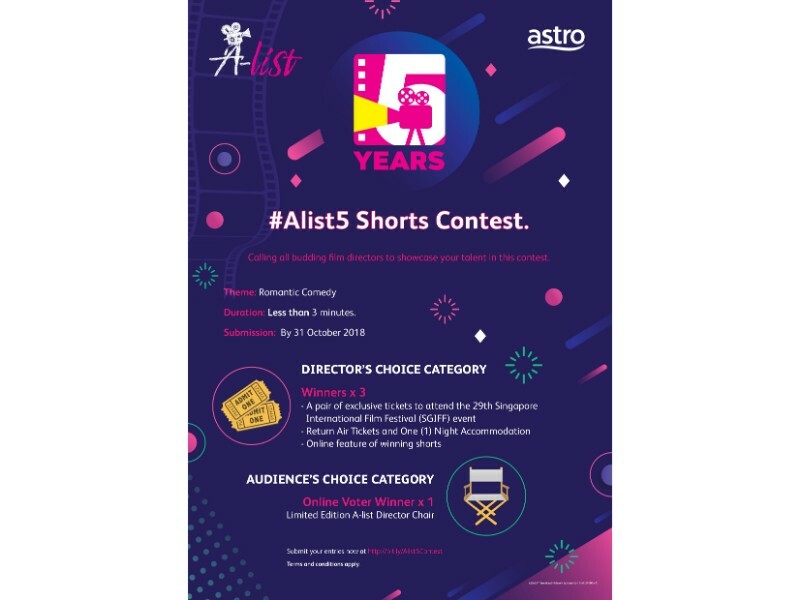 The #Alist5 Shorts Contest, which runs from 1 – 31 October 2018, is open to both local and international university students in Malaysia. Top 3 winners of the contest will get an all-expense paid trip to walk alongside film icons on the red carpet at the 29th Singapore International Film Festival (SGIFF) on 27 November 2018. Participants are to submit a short 3-minute video with the theme “Romantic Comedy” and the three most creative entries will win a pair of tickets each to the 29th Singapore International Film Festival (SGIFF). The winning videos will be promoted on Astro’s digital platforms. #Alist5 Shorts Contest will be open for submissions from 1 October – 31 October 2018 to all current university students in Malaysia who are 18 years old and above. Video submission for the contest can be done via: http://bit.ly/Alist5Contest.